From the makers of the Roomba robot vacuum comes the iRobot Braava 380T – the floor mopping and sweeping robot. The convenience of someone else do the chores around the house isn’t something you should pass by, but with a hefty price tag, is it worth it? Let’s see exactly what this bad boy can and can’t do with Canstar Blue’s review. What is the iRobot Braava 380T? The Braava 380T robot was created by an American advanced technology company iRobot, founded in 1990. The Braava is designed to both sweep and mop hard floors, tackling that everyday dirt and grime, according to the brand. It’s marketed towards maintaining a clean floor in between your big cleans and to help clean multiple rooms and large spaces. How does the Braava 380T work? The Braava 380T is intended exclusively for hard-surface floors – wood, tile, vinyl and laminate. 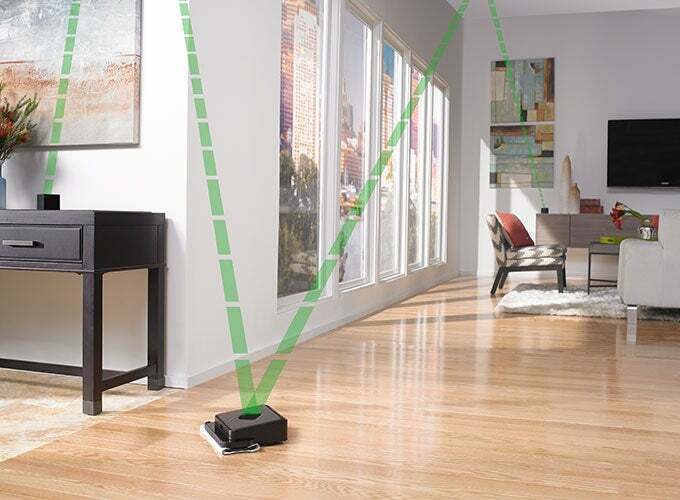 It uses iRobot’s NorthStar Navigation System to keep track of where it has already been and where it needs to go, including under furniture while avoiding stairs and other drop-offs. Smart sensors further help keep the iRobot Braava Floor Mop away from stairs, rugs, carpets and raised transitions. It’s recommended to use just tap water with the Braava as harsh cleaners can be hard on its internal parts. 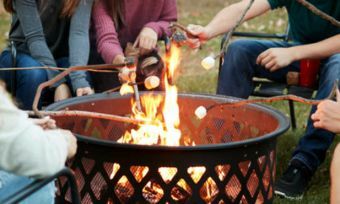 Soapy solutions may also cause wheels to slip while cleaning or clog the wick on the reservoir pad, according to iRobot. How long does the Braava 380T battery last? The Braava 380T is boasted to feature a longer-lasting battery, compared to its predecessors. It’s stated to sweep floors for up to 210 minutes, covering up to 92m² of ground while on the mopping mode, that time drops to 150 minutes on a single charge, with a range of 32m². To expand the sweeping coverage up to 185 m² per cycle, it’s possible to purchase additional NorthStar Cubes at $80 each. The Braava will then move from one Cube to the next within its cleaning cycle. Unlike with many robot vacuums, it doesn’t return to its base to re-charge. Instead it returns to a starting point, meaning you’ll need to manually recharge the robot to continue cleaning. The robot is equipped with a removable magnetic cleaning pad system. 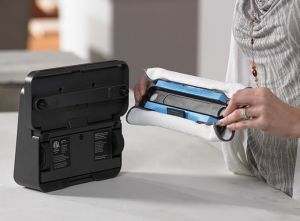 It’s stated to work with a variety of disposable and reusable cloths and pads, so you can use other brands, such as Swiffer pads, or even reusable microfiber cloths designed specifically for the Braava. Its reusable Pro-Clean cloth is claimed to clean dirt and grime using water or an approved mild cleaning solution. 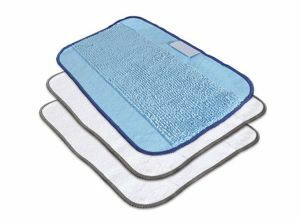 These microfiber cloths can be washed and reused. How much does the Braava 380T cost? It has a recommended retail price of $599. There aren’t many mopping robots currently in market, which makes it hard to say what is considered a good price. Nevertheless, with manual spray mops costing as low as $20, the Braava 380T might be seen more as a high-end appliance. 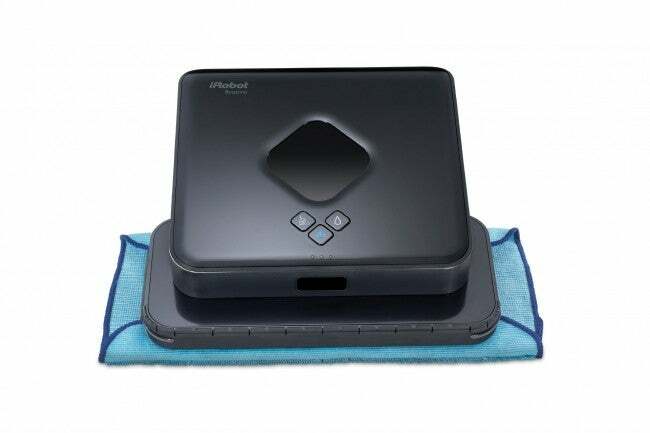 Comparing the mopping robot to vacuum robots, these typically sit between $600 and $1,500, which puts this mopping unit at the start of the price spectrum. Should I buy the iRobot Braava 380T mopping robot? If you’re looking for an automatic way to have your floors swept and mopped, then the iRobot Braava 380T might be one to consider. However, with a price tag of almost $600, it would be wise to do your own research to make sure this is what you’re looking for. iRobot states this robot is a tool to help maintain a clean floor in between the major cleans, meaning it might not be able to tackle the set-in stains since it isn’t equipped to put the same pressure on the floor as if you were cleaning. However, if you’ve already done a regularly mop of the floors, you can turn the robot on every day or two, which might help with the major cleaning task when it comes around again.